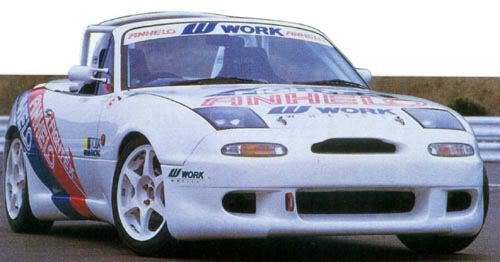 OFFICIAL Anhelo Replica Body kit GB (90-97) - Miata Turbo Forum - Boost cars, acquire cats. 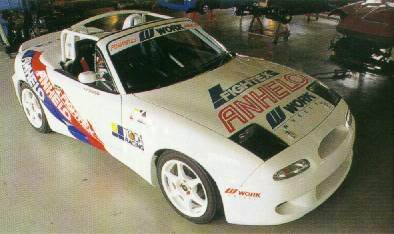 Here it is, the OFFICIAL Anhelo Body kit GB for 90-97 Miatas. This kit will normally go for $609 (FRP) retail on our website aerokits.net. Kit includes front bumper, left and right sideskirt, and rear bumper. Local pick up is available and is free. All local pick ups are subject to MD sales tax 6%. All orders placed by MD residence are subject to MD sales tax 6%. Shipping for each kit is $150. For each additional kit to the same address it will be $85. Shipping out of the lower 48 states please contact us for a rate quote. To sign up we will need a $10 non-refundable down payment by Friday 3/28/2009. We will be taking deposits via paypal at [email protected] - just put in the comments "Miata Anhelo Body kit GB." You can also pay over the phone with a credit card if you wish. Final payments can be made by credit card, paypal, check, money order, or wire transfer. Feel free to contact us via Email, PM or AIM or other with any questions or concerns. If you have any questions about us as a company as well, don't hesitate to ask. We have been in business since 2003. We are an aftermarket body and styling company, specializing in fiberglass, carbon fiber, and door conversion hinges. We advertise in many different forums, and magazines, and our products are all of the best quality. We will be posting updates on where the pricing is at. You can order just the front bumper - $203 is the retail price, but I will count it in the group buy. The front bumper will be $140 in the GB. No limit or minium required. Im just passing this along, I am in no way affiliated. I really would like to get the front bumper and thought some of you guys might be intrested. Interesting, I kinda like the bumper. I am debating now if I want to spend 140$ on it. I'd take one for $140. 'Cause then I could sell the stock bumper and recoup a decent chunk of that. The trouble is that shipping is an additional $150, and I don't like it $290 worth. Definately did not think of reselling the stock bumper. Factoring that in I think I will go for it. Living near them so free shipping makes it worth it. If I can find someone localish I want one, same as I posted on CR. why can't we get a ******* group by on the little scoop thingy that's $400!!!??? I kind of want the bumper too, but $300 is alot to pay. I know its hard to answer questions like this, but how much nudging do these parts usually take to make fit? there are other, better bumpers out there. The front bumper changes the whole look of the car. The miata's front was just too happy mouth for me, I'm glad I changed mine. With a good bodyshop guy your good to go. My Bomex had ZERO fitment issues. Seeing this is a "replica" bumper, I would anticipate some nudging. Id prefer to spend $300 on a complete replacement. Then I could sell my stock cover and r lip and recover more than half of what it cost me. That scoop will probably be close to $500 when you add shipping and any other BS. And then you wont have anything to sell to recover any of that money. Rear bumper? I don't see a rear bumper. Hmmm, interesting I might...No, no, focus on the Stand Alone. Focus! Make your own. I'm planning to. It'll take some modifying, but for $12 shipped... no problem. Holy thread resurrection! I happened to find this when researching the Anhelo kit and I have the rear bumper. Seeing it's been 7 years and there's no pics of a rear bumper in this thread you can claim anything you want.